According to the BBC, 40% of species are undergoing “dramatic rates of decline” around the world. We could witness the extinction of 40 percent of our planet’s insects within the next few decades. Bees, ants, and beetles are disappearing eight times faster than mammals, birds, or reptiles. Unfortunately, we have unsustainable agricultural practices, deforestation, urbanization, fertilizers, invasive species, pathogens, pesticides, and climate change to blame. It’s not surprising that bees have been hit the hardest from huge population declines. 1. Plant flowers and flowering herbs. 2. Don’t fear weeds! Clover and dandelions are great for insects. 3. Don’t use chemicals or pesticides. 4. Buy local, raw honey! 5. Place a small basin of fresh water for bees in your yard. 6. Support local, organic farmers! 7. 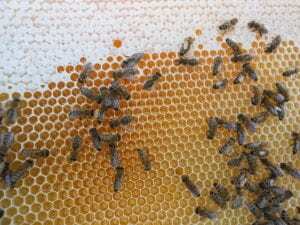 Utilize sustainable beekeeping practices.